From 13th – 15th May 2019, Hyster Europe will be attending the 1st Caspian Ports and Shipping 2019 Exhibition and Conference in Aktau, Kazakhstan, to showcase 360-degree solutions for container ports and terminal operations. 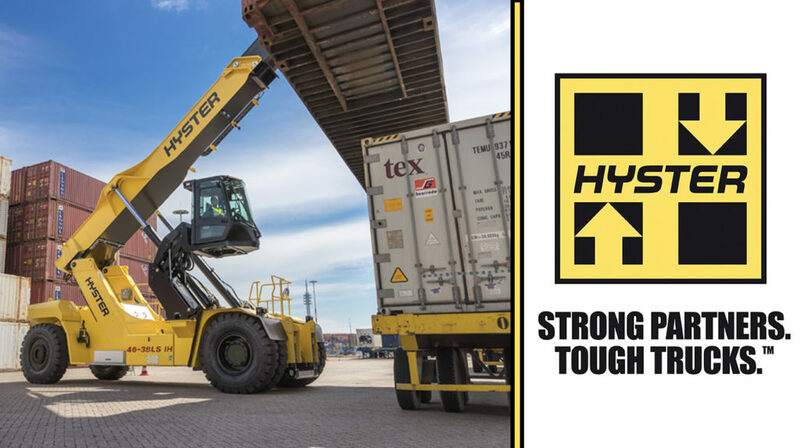 During the exhibition, visitors have the opportunity to visit the Hyster® team at Stand 19 to find out more about the range of robust all-round Hyster® solutions available for intermodal operations, from empty container handlers and ReachStackers, to forklift trucks and warehouse equipment. Plus, solutions beyond trucks, such as weighing systems and Hyster Tracker telematics. Hyster® Empty Container Handler for Double Handling – a new series of Hyster® trucks, with 4 single handlers lifting up to 8 high (8’6”) and 5 double handlers lifting up to 9 high (8’6”) available. Double-Handling capabilities offer significant productivity advantages. For example, the H11XM-ECD9 enables the operator to handle two 40ft reefer containers with ease, even when both refrigerator units are positioned at the same side, which would normally cause an offset load. 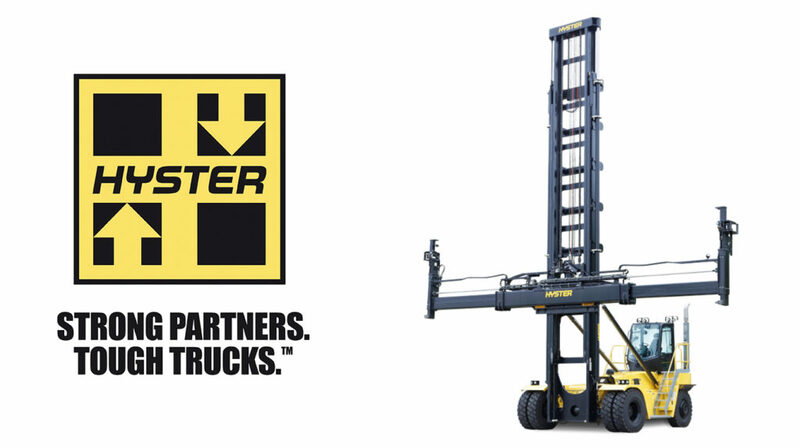 Updated 8-12T Hyster Lift Trucks and 10-16T Hyster Lift Trucks– the latest heavy-duty models provide optimal visibility, strength and reliability, with a completely new mast and carriage. The innovative mast design offers added strength, increasing the residual capacity on each truck. There is now more space between mast channels giving enhanced visibility of the attachment. The more open design results in less weight on the carriage and reduces ‘lost’ load centres by getting the load closer to the truck. The new range of 2-stage masts, and extended range of pin or hook type carriages, are available on the H8-12XM-6, H13-16XM-6 and H10XM-12 models. Hyster® RS45 ReachStacker for Everyday Handling – The Hyster® RS45-27CH and RS45-31CH ReachStackers are an addition to the existing Hyster® RS46 ReachStacker range, exclusively available to customers in countries where Stage IIIA/Tier3 emissions regulations are applicable. 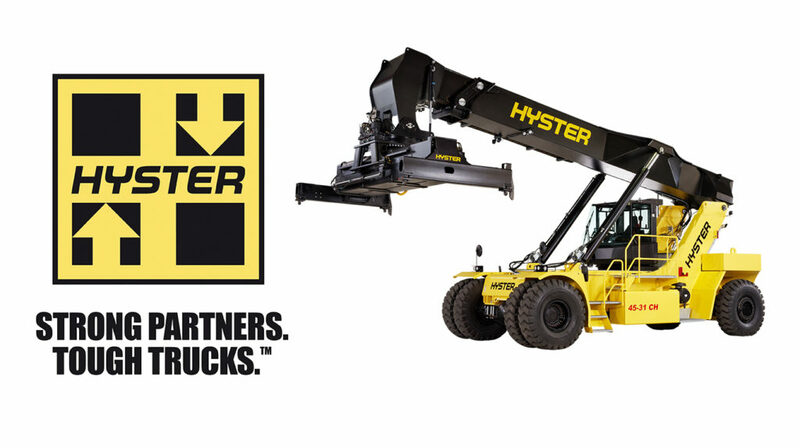 Built using proven Hyster® components for maximum dependability these trucks are especially designed for excellent productivity in the first, second and third rows. These trucks offer the same quality components, durability and toughness as any Hyster® Big Truck, alongside intelligent Hyster® design to deliver lower fuel consumption and longer tyre life. Hyster® ReachStacker for second rail handling – the new elevating cabin option for the Hyster® RS46 ReachStacker offers direct visibility of second rail containers. 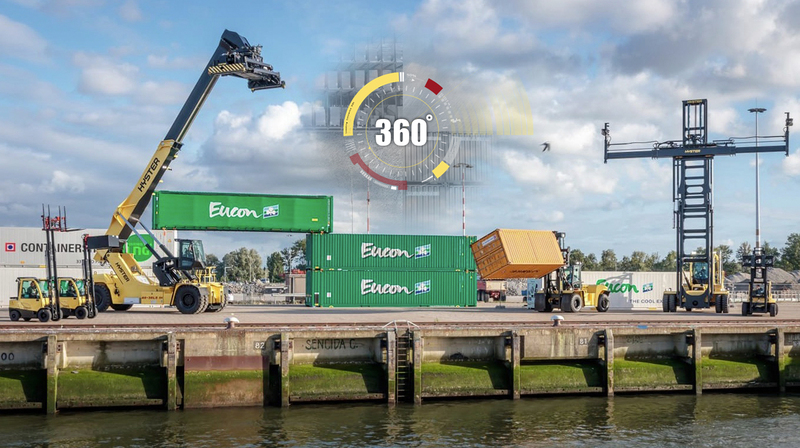 This solution optimises visibility of a container on the second rail, even when there is a high cube container on a railcar in the first rail position. The new moveable cab is raised and lowered on a hinged arm and provides greater efficiency while helping to reduce damage. 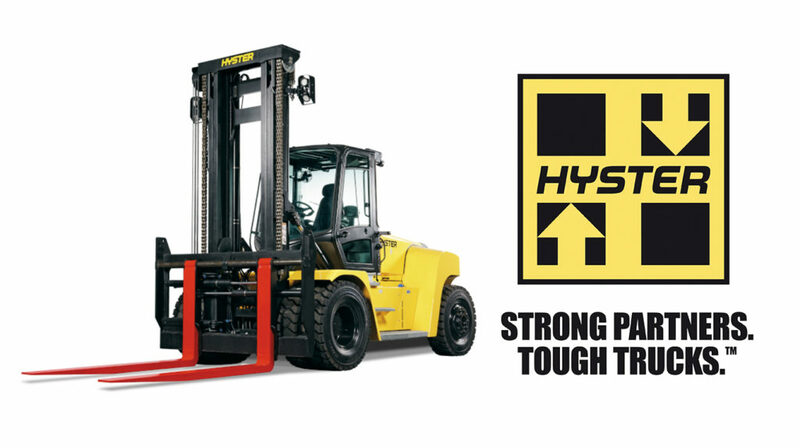 With the robust Hyster® cabin design, operators also benefit from a comfortable environment. The two-day exhibition and conference, which expects to host over 300 visitors, also includes a programme of speakers that will address topical logistic issues and challenges for Kazakhstan and the surrounding region. During the conference, Dmitry Dubrovsky, Big Truck Sales Manager for Hyster Europe, will deliver a presentation looking at innovation in ports to delegates. To find out more about how state-of-the-art Hyster® solutions can support port and terminal operations, book tickets to the show here. Alternatively, contact your local Hyster® distribution partner or visit www.hyster.eu for more details about innovative Hyster® handling solutions for any industry. This entry was posted in 360-degree benefits, Attachments, Big Trucks, Coil Ram, Container Handling, Container Stuffer Truck, Container Stuffing, Container weighing, Counter Balance, Cross-Docking, Dealers, Electric Big Trucks, Empty Container Handler, Hyster, Hyster Europe, Intensive Applications, Lithium-ion, Mounting Solutions, Multi Tool Changer Attachment, Partners, Ports and Terminals, ReachStacker, RS45 ReachStacker, Safety of Life at Sea, Solas, Solution and tagged Aktau, Caspian Ports and Shipping 2019, Container Ports, Hyster Europe, Kazakhstan, Terminal Operations. Bookmark the permalink.